Hi Everyone. 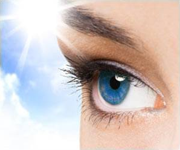 We previously had some internal discussions about the best form of vitamin B12 for glaucoma. This was part of our research for the FitEyes eStore. I have summarized the discussion below and I decided to share it with everyone. If you don't want to read all that, the conclusion of the discussion below is that taking both methylcobalamin and dibencozide would have benefits for glaucoma patients who wish to supplement with Vitamin B12.TheFitEyes eStore sought out a product that contains both of these forms together. Unfortunately, every combination product we identified on the market failed in one way or another to meet our criteria. Therefore, we feel the best strategy at this time is to use separate methylcobalamin and dibencozide products. One option is to purchase both forms and alternate them each time you take a lozenge. Another strategy would be to alternate which form you purchase each time. Glen said: Hello David. On the B12 example, methylcobalamin has been the preferred form for reversing neurological damage, and I have the highest regard for Jarrow product purity, and the sublingual route of administration is ideal. My caveat is that in individuals with Mercury toxicity, known or frequently unknown, it turns out that methylcobalamin is the substance responsible for methylating metallic mercury, making it about 1000 times more toxic. For that reason, I suggest Dibencozide, the mitochondrial form of the active coenzyme, as a first line therapy. David said: Your suggestion of dibencozide is interesting. It is unfortunate that we are left to largely guess as to whether the actual results match the theoretical results in the case of the different forms of B12. There is a serious lack of good research comparing the different forms of B12. And the form most commonly used in published glaucoma research seems to be methylcobalamin. So the choice between them is difficult. Another option might be to recommend B12 injections, but that's not a perfect solution either. The U. S. National Library of Medicine houses all the health and medical journal studies reported in accredited journals from around the world. (More than 15 million scientific articles) As of September 13, 2007 there were 19,813 scientific studies that investigated vitamin B-12 that were accessible there. Of these only 665 investigated hydroxycobalamin. This is about 3 percent. 490 investigated methylcobalamin. This is a little over 2 percent. 16,251 investigated cyanocobalamin. This is about 82 percent. There are no reports of toxicity from cyanocobalamin, hydroxycobalamin or methycobalamin in the 19,813 studies that investigated vitamin B-12. Cyanocobalamin is, by a great margin – over 82 percent, the most studied form of vitamin B12. As far as I can tell, none of the studies on B12 used dibencozide and I didn't find any mention of any studies that compared the two -- much less any research specific to glaucoma. I'm studying the history of science right now. As you probably know, many early scientific ideas where not tested sufficiently well and therefore totally false ideas persisted for a long time. The history of science is full of examples. Sometimes the theory sounded solid and was widely accepted, but until the claim was actually put to the test we didn't know that the real world didn't conform to the theory. There's a real danger of that being the case with dibencozide vs methylcobalamin. David continues in this email: You and I are on the same page. I think dibencozide is of interest and I also agree with your overall reasoning. My only caveat was that the methylation of mercury in this exact situation is theoretical, not empirical. It may or may not happen exactly the way we imagine and I mentioned that the history of science is full of examples like this. Highly recommended by the Swedish Association of Dental Mercury Patients, the form methylcobalamin B12 is usually the drug of choice for treatment of patients with amalgam induced disorders. Furthermore, methylcobalamin is the only form of B12 that is used by the body in the nervous system. That makes it of great interest to anyone concerned about glaucoma. My understanding of this is that any methyl donor could theoretically methylate metallic mercury. And everything I saw implicating methylcobalamin was speculative and of low quality compared to the info I found in favor of methylcobalamin (even in the presence of mercury toxicity). I will paste one such article in full below. Given the importance of methylcobalamin to the nervous system and the importance of dibencozide to the mitochondria, I like the idea of a combo product. Read the article below and anything else you come across and let me know if you still think this speculative idea of methylcobalamin making mercury more toxic is truly scientiifc. I don't. "The uptake from oral B12 supplementation is usually very low, approximately only 1 percent. Vitamin B12 is therefore given intramuscularly. Highly recommended by the Swedish Association of Dental Mercury Patients, the form methylcobalamin B12 is usually the drug of choice for treatment of patients with amalgam induced disorders. The reason why high doses of B12 (intramuscular injections in a specific form of methylcobalamin) are recommended is that, in the presence of heavy metals in the blood-brain barrier, most of the vitamin B12 seems to be consumed (for reasons we don't yet know) and, depending on the level of heavy metal exposure, part of the supplemented B12 will most probably also be consumed in this way until the surplus can be used in the brain where it is needed." She recommends that only certain brands of methylcobalamin B12 are used because some contain preservatives which can cause problems in sensitive patients. She also stresses that for this treatment for patients with metal-induced disorders, a certain protocol be followed which includes the addition of folic acid, and vitamin B6.